Scott Mansfield is a personal injury attorney who is also a passionate advocate for the interests of his clients. Contact Scott to get started on your case. After several years of practicing law with one of Louisiana’s oldest and most respected firms, Scott formed Mansfield Melancon with other experienced and trusted lawyers with the goal of providing each individual client with personalized attention and a dedicated team of lawyers who understand their issues and advocate aggressively for all of the firm’s clients. Scott has argued in numerous Louisiana courts and has advocated for clients throughout the state. Scott has represented clients in personal injury cases, family law cases, criminal cases, and numerous business/civil litigation cases. 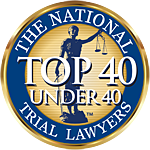 In 2018, Scott was ranked by his peers among the Super Lawyers - Louisiana Rising Stars. The Rising Stars list recognizes less than 2.5% of attorneys in Louisiana. Scott serves as a member of the Louisiana State Bar Association Ethics Advisory Service Committee, which works to encourage ethical lawyer conduct and supports the LSBA's Ethics Counsel in the provision of informal, non-binding ethics opinions to members of the Bar. Scott also serves on the LSBA Unauthorized Practice of Law Committee, which protects the public from incompetent or fraudulent activities by those who are unauthorized to practice law or who are otherwise misleading those in need of legal services. Scott graduated from the Paul M. Hebert Law Center at Louisiana State University, where he was a member of the Chancellor’s List and earned CALI Excellence Awards in Legal Research and Writing (I & II) and Civil Law Torts. While in law school, Scott also served as an editor of the Mineral Law Institute Newsletter and member of the Student Bar Association Ethics Committee. Prior to attending law school, Scott served his community as a commissioned deputy sheriff. In the community, Scott serves on the Sigma Nu Fraternity (Phi Chapter) Alumni Board of Receivers and is a member of the Tiger Athletic Foundation. 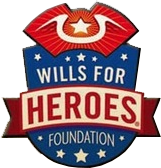 Scott also serves his community as an active volunteer attorney with Wills for Heroes: an organization that provides no-cost estate planning legal services to veterans, members of law enforcement, and their families. Scott is admitted to practice in all Louisiana state courts, in the United States District Courts for the Middle, Eastern, and Western Districts of Louisiana, and the United States Fifth Circuit Court of Appeals. When he is not practicing law, Scott enjoys spending time with his wife, family, and friends, outdoor activities, hunting, fishing, and attending LSU athletic events. CALI Excellence Awards in Legal Research and Writing (I & II) and Civil Law Torts. Mansfield Melancon know that finding the right attorney to represent you is a choice not to be taken lightly. That’s why we offer free consultations to walk you through your needs, the scope of your goals, and your budget.